Prevention is always the best cure, especially when it comes to severe, persistent pain. But, when a migraine descends out of the blue, what can you do? Some migraine sufferers have “auras”. This is believed to be the most common type of migraine. Auras can be visual cues such as spots or blinking lights. They can also include other neurological symptoms such as dizziness and tingling in the extremities. The aura also serves as a warning sign. You can take immediate remedial actions such as hydrating, blocking out light and resting to minimize the head pain. Without the aura, you need easy, quick fixes to alleviate the migraine. Here are 5 natural ways to help you. Rose and lavender are the popular ones when it comes to headaches – including migraines. But peppermint oil is growing in popularity as it is a “cool” oil that smells fresh and uplifting. To use it for migraines, mix a drop of peppermint oil with a tablespoon of carrier oil. It is best if the carrier oil is neutral in smell while treating a migraine. Try jojoba or grapeseed oils and apply it to the painful areas. The clean flow of scent also gets rid of any adjunct pain you may have from clogged sinuses, etc. If you suffer from migraines, keep a bottle of peppermint on you at all times. This may seem counterintuitive because coffee is often touted as a cause of headaches. But some migraine medication actually contains caffeine. Sufferers have reported feeling better after a cup of coffee. Another easy fix. All you have to do is buy a medical-grade gel pack or two and keep them in your freezer. When a headache strikes, wrap them in thin cotton t-shirts to prevent freezer burn and let them cool your head. 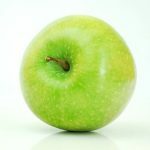 This one might sound a bit strange, but The Smell & Taste Treatment and Research Foundation in Chicago found that mid-attack, people who sniffed green apples reported decreased pain. If you are suffering badly, get someone to help slice one up for you. Make them thin slices though. Chomping on chunky pieces will cause your head to move too much and may exacerbate the migraine. What’s a list of home remedies without ginger in it? As a migraine sets in, the blood vessels in your forehead get inflamed. Once this happens, they press against nerves causing further inflammation. Turmeric is the flavor of the day when it comes to natural anti-inflammatories but for migraines, ginger should be your root of choice. Not only does it have a strong anti-inflammatory property, it also kills nausea and settles the tummy. Make a ginger root tea beforehand and keep it handy for those painful episodes. Buy some matured ginger root and cut off a piece about 1-inch thick. Grate it or smash it with an old-fashioned meat tenderizer. Put the ginger in 4 cups of water and boil it for about 10 minutes. Once prepared, keep it refrigerated and ready to use. You could also add some raw honey to take off the pungent edge. Some migraine sufferers don’t even bother with tea – they just chew on a slice of ginger when the pain hits. If you’d rather do that, get young ginger root as it’s a little kinder to the taste-buds. Migraines are a serious problem that stops people in their tracks on a daily basis. 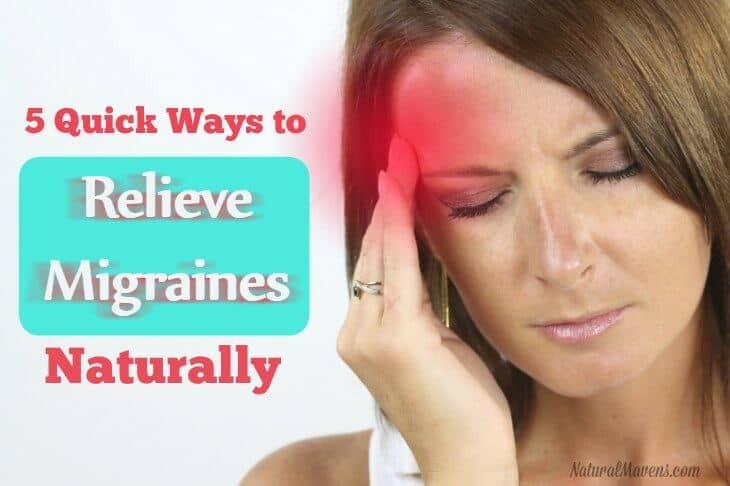 If you are one of those people then consider giving these 5 remedies to relieve migraines naturally. The main idea is to have simple fixes on hand that work for you. Try each of these to see which has the best effect.